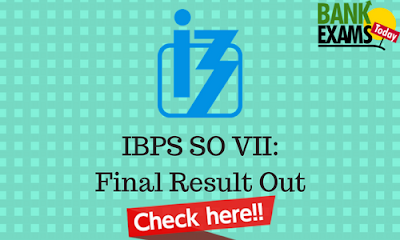 Click Here For IBPS CWE SO-VII. Click Here For IBPS CWE SO-VII Combined Result for Mains Exam & Interview. Commencement of Result:- 01 - 04 - 2018. Closure of Result:- 01 - 05 - 2018.